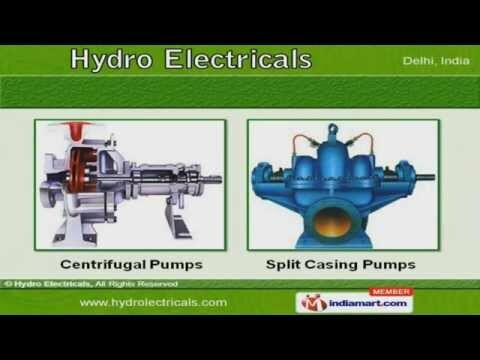 Welcome to Hydro Electricals Manufacturer & Exporter of Screw & Gear Pumps. The company was established in the year 1989. Our Strong infrastructural unit & Wide distribution networks help us to Cater Sugar, Steel, Paper Processing & other Industries. Our Emphasis on client satisfaction, well equipped R& D wings & stringent quality inspections make us superior from others. Our product list covers Lobe, Gear & Screw Pumps. Capacitor, Cavity & Shuttle Block Pumps offered by us are absolutely flawless and are high on efficiency. We offer Centrifugal & Split Casting Pumps that are low on maintenance, consume less power and have longer life. We also provide Cage Motors & Auxiliary Relays that are known for high performance and supreme quality. Turbine Pumps, Motor & Starter ensures high durability, tensile strength and resistivity to adverse conditions. Along with that we offer Electronics, Electrical & Transformer Protection Fuses.